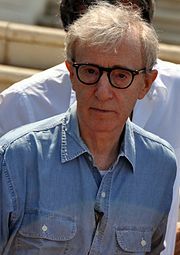 Is Woody Allen, Moliere’s Malade imaginaire? Moliere, who was the greatest comic genius of all time, probably could never have thought up a character like Woody Allen. In a Times op-ed piece (“Hypochondria: An Inside Look,” NYT, 1/12/13) Allen, however, attempts to debunk his reputation for being a hypochondriac on the basis that his “maladies are real.” “What distinguishes my hysteria is that at the appearance of the mildest symptom, say chapped lips, I instantly leap to the conclusion that the chapped lips indicate a brain tumor. In once instance I though it was Mad Cow.” Allen terms himself an “alarmist" and further comments that “incidentally this relentless preoccupation with health has made me quite the amateur medical expert.” What has always made Allen’s humor so forceful is that he does for urban neurotics what Chekhov did for the penurious rural aristocracy who could only dream of going to Moscow. Allen’s image of himself is something we recognize in friends and relatives who spend a little too much time on WebMD, who seek out specialists the way the Knights of the Round Table sought The Holy Grail and who parentalize anyone with an MD. But the dichotomy Allen tries to draw is really more of a euphemism. An alarmist of the kind Allen describes is a hypochondriac albeit of a less egregious kind, if we accept Dictionary.com’s definition of hypochondria as “an excessive preoccupation with and worry about one’s health” Call it what you will, what alarmists and hypochondriacs really have in common is hope. They are like romantics who are more in love with what isn’t than what is. It might be argued that the hypochondriac’s worst fear is not detecting a symptom, but having it explained away as something harmless. At this point, the drama is gone. There is nothing to look forward to. All he or she can hope for is a new symptom to arise. To Moscow!